Cheryl Lemke is President and CEO of the Metiri Group, a consulting firm dedicated to advancing effective uses of technology in schools. She also serves as the practice leader for Metiri Group Policy Consulting. Prior to launching the firm, she was the executive director of the Milken Exchange on Education Technology for the Milken Family Foundation. Lemke specializes in public policy for K-12 learning technology, working at many levels with governors, legislators, superintendents, business leaders, and teachers. She's facilitated public hearings in Silicon Valley, CA, and Atlanta, GA, for the Web-based Education Congressional Committee and worked with several states on leadership in technology initiatives. Cheryl also authored the definitive work on 21st century skills, published by the North Central Regional Educational Laboratory and the CEO Forum. 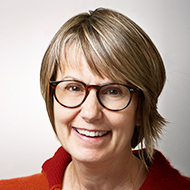 Lemke's 25-year career in the public sector and her work with Metiri Group have included projects related to assessing the impact of technology on learning; gauging the progress of states, districts, and schools in bringing technology to the learning process; conducting surveys and focus groups; convening national experts in discussions on policy issues; and designing and prototyping educational technology frameworks.